The present century sparked an amazing outrage for the fantasy book genre with the visual adaption of highly-popular book series such as Harry Potter and Lord of the Rings and recently an unbelievably popular HBO TV show Game of Thrones. It is no coincidence that the expansion of this genre increased epic fantasy fandom, with many visual studios buying out the rights to the series based in these immersive worlds of sword, magic, dragons and other creatures and races, politics and intrigue. With ever-present popularity of works of J.R.R. Tolkien and the best-selling ASOFAI series by G.R.R. Martin, the hunger for well thought-out stories and multi-layered characters grew bigger. Here is a list of top 20 fantasy books of all time to occupy your imagination post-Tolkien and Martin. If you want to consider yourself a fantasy geek, and you’ve never read Wheel of Time, prepare to be looked down upon by your fantasy-loving peers. This is arguably the most popular epic fantasy after the two aforementioned giants. Spanning over 14 books, hundreds of characters, epic battles and a massive world – this saga is the definition of epic. 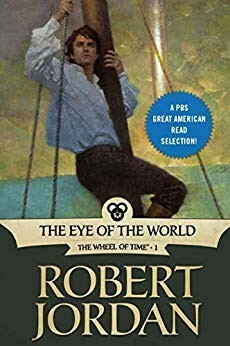 Don’t feel repulsive by the size of this opus, yet try to engage yourself into the first book called The Eye of the World, and you are guaranteed a tremendous adventure within a world that feels so familiar to Tolkien’s, yet bears a uniqueness of its own. The book is a part of a yet to be finished series called The Kingkiller chronicle where we follow a point-of-view character named Kvothe, narrating the story about how he built up a legendary reputation for himself, mostly by cunning decisions and irresistible charisma. The book is highly rated by many fantasy lovers for its charming poetic narrative. This style switches away from the grand scheme of things, and toward the microcosm of a certain individual. The book nevertheless doesn’t lack a brilliant set of supporting characters that shape the protagonist in various ways. This series is a relatively new and ambitious project of one of the most popular fantasy authors in the world. The scale of the universe and the storytelling of the series is unbelievable. 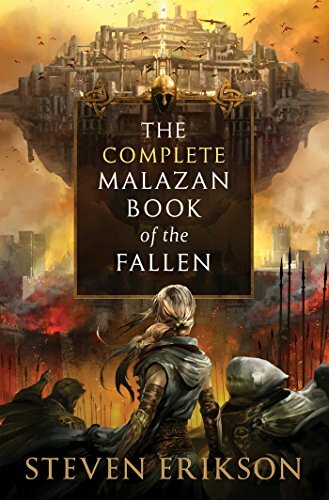 Sanderson uses a great world-building method where he just drops the pieces of a large story which, when ultimately connected, offers an amazing climax and ups the stakes for the next book. The series is far from over, and the author plans 10 books in total, with only 3 published so far. If you decide to dive into this world, you shouldn’t be afraid that it won’t be finished, since Sanderson is lauded for his workethic and productivity. A must-read. There is a certain mysticism that comes with reading this book. The way the world is set, jumping from parallel universes, alternating reality, changing the patterns of destiny. This chronicle is less ‘’epic’’ in terms of standard parameters, but is definitely as fantastic as it can be. You will sense a really unique experience while reading this book and I would recommend it to anyone that really appreciates a good and complex narrative. Kushiel’s Legacy is a book series from another talented female fantasy writer. This one draws its inspiration from the real-life folklore and religion, so some people label it as alternative history. The world is a resemblance of the Earth’s landscape with a history that is an alternative of our own. The main protagonist of the story is a girl named Phèdre, living in a country populated by descendants of angels. The story is passionate, with a lot of politics, graphic sexual scenes, and some very nice world building. A female-centric story is still a minority in the genre but this series really does it justice. This book series is fresh work of acclaimed writer Mark Lawrence notable for Broken Empire series. The book follows a morally ambiguous set of characters each intertwined in a scheme that has a single entity on top – The Red Queen. The story is dark, yet witty and funny and it creates a certain atmosphere. 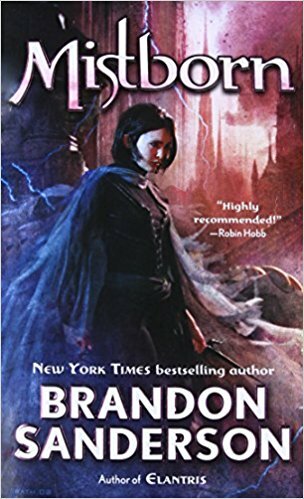 A good entry-level series for new fantasy fans that like modern storytelling set in a medieval fantasy world. This series is widely considered to be one of the best high fantasy books ever written. With no main protagonist, but rather a wide range of characters from different parts of the world, different continents, races and even timeliness, all a part of a world much bigger than themselves. This series is probably the epitome of a high fantasy done right. 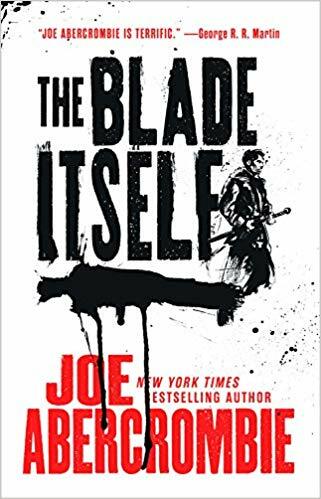 It contains large scope cinematographic battles, imaginative characters, races, and conflict and a story that earned the author comparisons to some literature (non-fantasy) heavyweights such as Leo Tolstoy or William Faulkner. 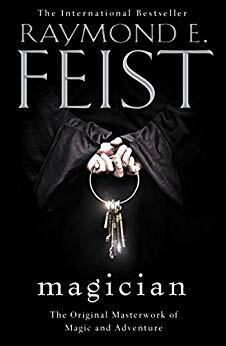 A non-conventional book about a dark medieval fantasy world where evil won, but even greater evil is threatening. It follows the heroic and not so heroic deeds of a company of morally gray characters narrated by a chronicler who is also a part of it. The storytelling is different from most fantasy books since it’s described more like a war log than like a normal narration. This style separates the reader from the characters and forms a objective opinion, reminiscent of reading history books. This recently finished series was met with mixed reviews notably because it didn’t offer anything new and unique, but it did offer a refreshment of sorts. A story about a world ravaged by merciless demons some characters find out that their fates are more intertwined than they thought. The first book of the series offers some of the most thrilling survival horror style genre blended with epic fantasy. The magic is well developed and the world is immersive and interesting. Definitely, a must-read for anyone who liked A Song of Fire and Ice. 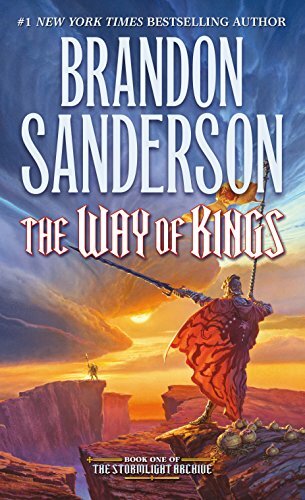 Another series from Sanderson that deserve to be on the list which provides further proof that he is one of the best fantasy writers of today. 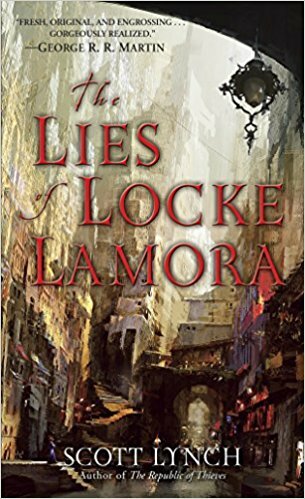 This series is set in a little bit of steam-punk noir fantasy world but the style, use of narrative, characters and magic is completely epic fantasy. 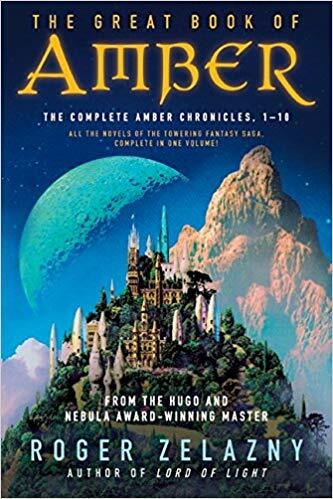 Knowing that the world in which this series is set is the same universe (Cosmere) where the other Sanderson’s worlds take place, it just makes the story even better. Some characters from his other works make his appearance here, too. A fast-reading, immersive fantasy. The first book in the series published in 2014. was lauded as THE potential heir of A Song Of Fire And Ice. A book that is rapidly paced, shocking, witty, unpredictable and gritty. The characters are well-built and thought of and have that edge that makes you root for them or cry for their tragic destinies. 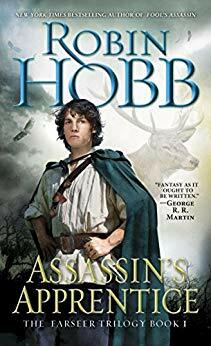 The book is a big recommendation for anybody that would like to start with epic fantasy (similar to some other on this list), as well as old readers who are in search of similar feeling they had while reading Martin’s work. The Farseer is another series by an acclaimed female fantasy writer which follows a protagonist thrown into a really messy and unpredictable world. It follows his coming-of-age and struggles to do something about a problem that exceeds his own existence. The series is famous for its character development, romance, epic fantasy-centric more about struggles and growth of an individual. This book is a really influential work. Another entry-level epic fantasy that is more old-school. It is a classic tale of a boy living in obscurity rising through the ranks to become one of the most powerful wizards in the world. 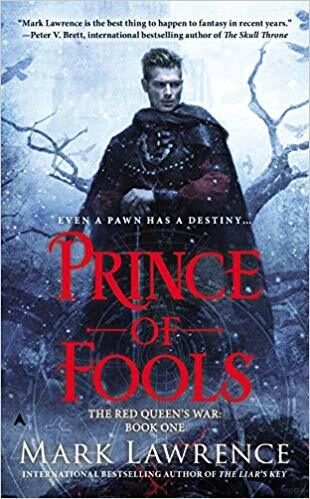 Similar to The Farseer, it is a coming-of-age book for newcomers in the genre where the serious political intrigue and dark fantasy is replaced by some great character building, romance, and high-end fantasy narrative. There is not much not to like in this great book and it is truly a classic. 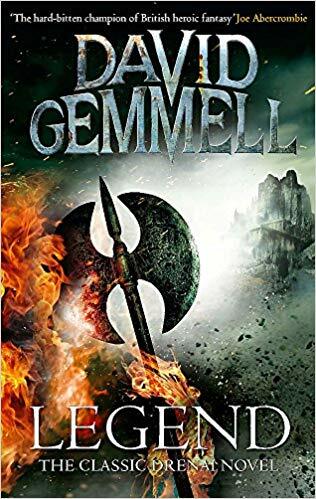 David Gemell is a well-known name in the fantasy genre with the first book of this saga published 35 years ago now. 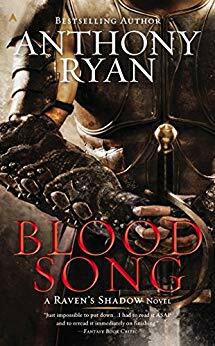 The story about a big Empire that is under threat, a great war, and a group of men that are supposed to defeat the great opposing army and become heroes and legends of the realm. A simple, but effective plot made this book an instant hit and memorable characters are still one of the most ‘legendary’ in this niche. 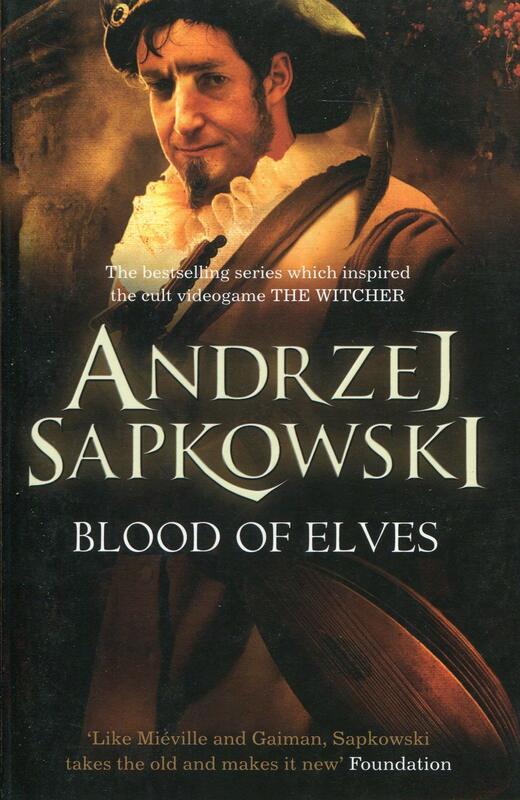 The book about The Witcher, legendary monster slayer set in a fictional Slavic mythology world is probably most famous for its phenomenal video game adaptation that goes by the same name. The book, which was greatly popular in native Poland, achieved worldwide fame thanks to the CD Project Red game studio. Since then, the books were sold in millions of copies worldwide. 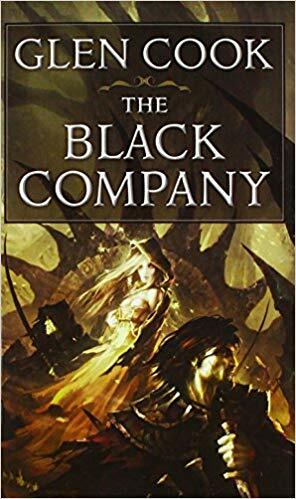 Although set in a fantasy setting, the epic part is a bit lacking while we follow the morally gray Witcher (notorious order that is trained in swordsmanship, alchemy and martial arts to fight dangerous creatures lurking in the word). The book contains elements of hack-and-slash, with a character-centric plot. Another book that really falls to the epic fantasy genre. Three powerful fractions are at a certain boiling point and the war seems inevitable. The world resembles the medieval world of Europe, the politics and intrigue of rival powers and a cast of characters trying to ride the wave of upcoming changes in the world. A great book for all who enjoy the epic in epic fantasy. 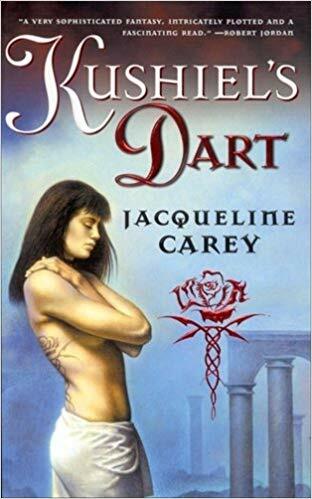 There is a debate in the epic fantasy fandom whether this series is epic fantasy since at the beginning we just follow a group of cynical hedonist thieves who are reveling in riches of the aristocrats. But, as the story progresses, the main protagonist gets more and more involved in the pieces that are moving throughout the world. By the end of the trilogy the story does become as epic as it gets. 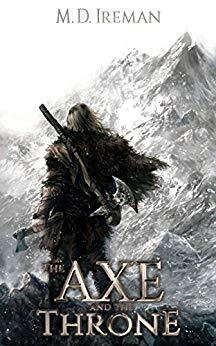 I would recommend this book especially to ones who are not sure if they are into epic fantasy as its character-driven plot and great narration are easy to grasp. 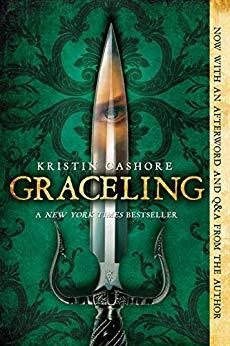 I found this book series rather interesting since it is a really well-written young adult fantasy with a great female protagonist. 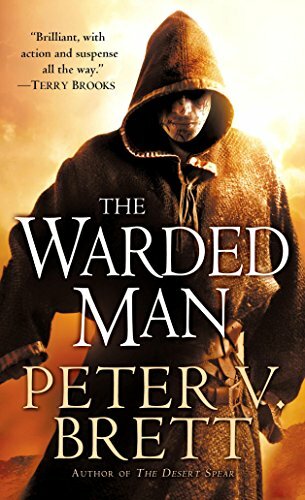 Although not as complex as most of the books from this list, this series is intense, well-written and pleasant and easy to read. Characters are well imagined and easy to invest in and the story is rewarding. Not for everybody, but consider it an ‘easy-going’ of the bunch. This book deserves to be on the list for many reasons. It is a really great ‘deterministic’ book about a boy that has a path set in stone to achieve greatness. His childhood unknown to him, surrounded with the support of a band that devoted its life to fight, the boy soon realizes that his role to play in the world is much bigger than he thought. This book is independently released as an ambitious project by A. Ryan and was a great success. 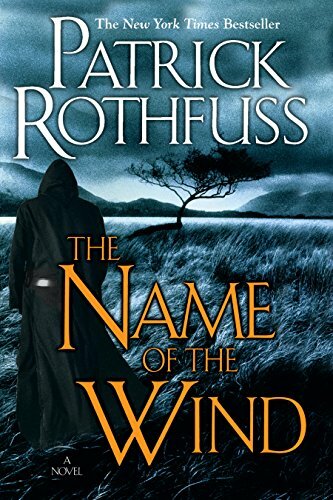 It drew comparisons to The Name Of The Wind (also mentioned on this list) for it’s beautiful narrative and the ‘’one protagonist’’ centric story. Another book with a female protagonist that is worth being on this list. 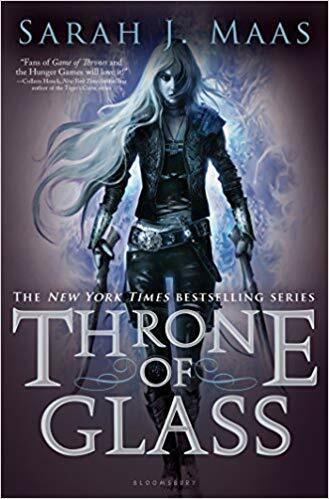 This book is not for everyone, though, as its style and characterization are more suited for an young adult female-centric fantasy, but the idea, concept and the medieaval-like world where the main female protagonist struggles is a great and easy read for every fantasy fan. That’s the list! We have tried to add a broad perspective with many different aspects that make a genre of epic fantasy so immersive and haunting. If you think there are better suggestions, or if you have any feedback, it would be great to leave a comment and discuss with fellow epic fantasy aficionados!